Midden – a scattering of sculpture on the rain green grass responds to the Gasworks story. 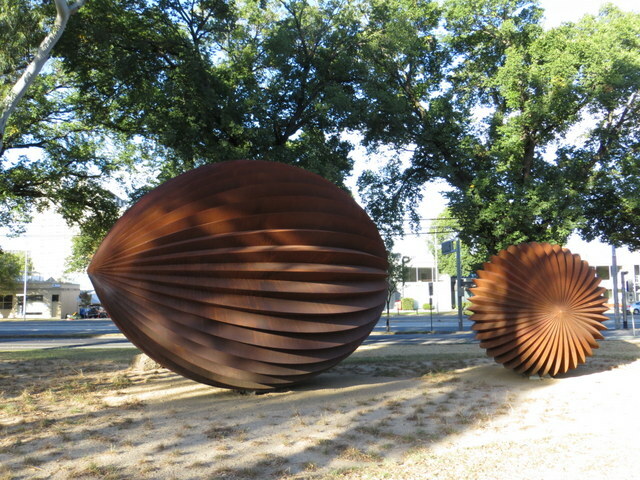 Matthew Harding’s work sits easily in this local park. It was explicitly created to be clambered over, sat on and peed upon in this dog loving popular community park. Town gas was was first produced here in the 1870s in a joint venture between Emerald Hill and Sandridge Councils. The gas was manufactured from baking coal in large retorts. The black coal arrived at Port Melbourne’s Town Pier from Newcastle in New South Wales. It was conveyed to Gasworks by means of a horse drawn tram. As much as 130 tons of coal was unloaded from just one ship, the Era, in 1890. But the supply was erratic and affected by strikes. Work shoveling coal at the Gasworks was hot and harsh. A worker complained of being so overcome with fumes that he needed to leave his work or faint. His appetite was gone. Hanging out the washing in houses surrounding the site was a despair. Cutlery was tarnished and the paint work on houses deteriorated fast. 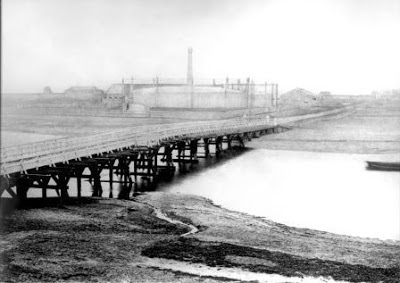 The commissioning of Morwell in the La Trobe valley triggered the closure of the South Melbourne Gasworks in 1957. The discovery of natural gas beneath Bass Strait in 1965 re-inforced its redundancy. In less than a century, Gasworks had come to the end of its industrial life. Gasworks lay derelict until it became a Park in 1986 – just over thirty years ago. Since then, the life of the Park becomes ever richer: with people – their dogs and friendships, the arts and nature. The trees have grown and the birds have come back. 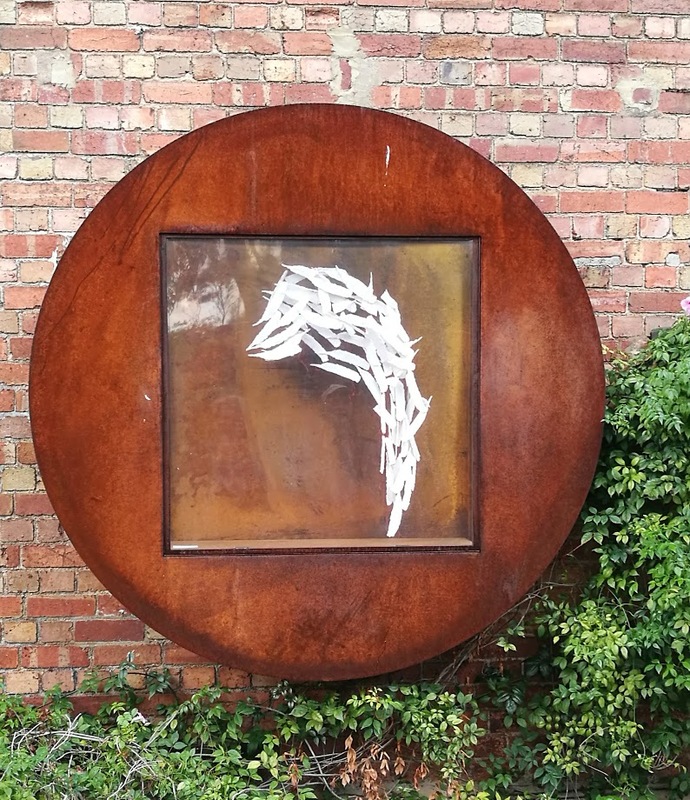 Gasworks resident artists in the studios transform raw materials into the beautiful work which is exhibited in Port Holes created by Michael Sibel – robust corten windows into the creative life of the Park. Houses in Foote St, which once needed to be vacated several times a year, are now described in Domain as “highly unique or high end in an area with low sales activity”. Roof tops turn their solar panels to the sun. But beneath the thin veneer of green grass in the Park, the legacy of almost a hundred years of contamination remains. The Port Phillip Council with the State Government assumes responsibility for the health of its community. Local people anguish over what site remediation could mean for the trees and the Park they love. A contamination management plan is being prepared. The transformation of Gasworks as well as its legacy of contamination are instructive stories in this year when rising gas prices are in the spotlight and the closure of Hazelwood in the La Trobe Valley confronts us with the opportunities and challenges of the next wave of energy transformation. 1 Fumes from Gasworks cause damage Advocate (Burnie, Tas. : 1890 – 1954), 9 June, 1938 p. 7. 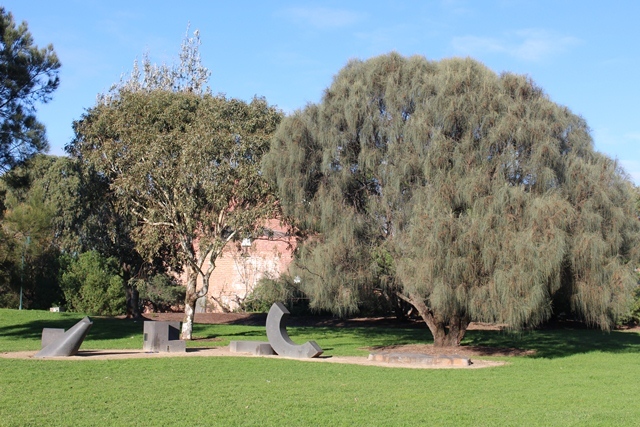 Thoroughly enjoyed reading this very informative article on Gasworks Park! As a local, a walk to this park will be that much more appreciated.